On November 27-29 this year, ZETKAMA presented its offer at the VALVE WORLD EXPO. For the fifth time the leading global fair and the accompanying conference took place at the Düsseldorf Exhibition Center. 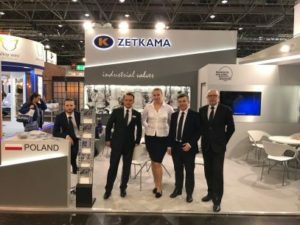 In two halls with an area of 18,000 sq m, over 650 exhibitors from 40 countries presented their latest technologies, components and systems for industrial fittings, fittings and pumps. The fair was visited by approx. 12,000 people from 86 countries, over 70% of whom were managers and decision makers. About 75% of all visitors came from outside Germany, which confirms the international nature of the event. 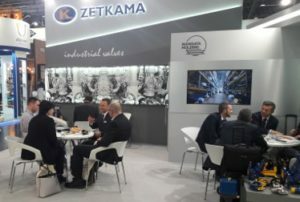 The ZETKAMA stand was visited by about 150 companies from over 40 countries, including from such countries as: Georgia, Syria, Pakistan, Mexico, Ukraine, Macedonia, England, Ireland, South Africa, USA.